Did the group manage to find Jace? 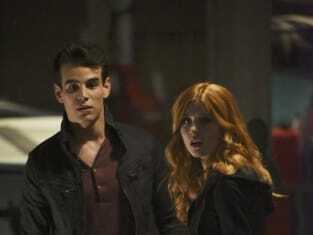 That was a huge question on Shadowhunters Season 2 Episode 1 when Clary, Isabelle and Alec realized they needed to find out what led to Jace running off with Valentine. Victor Aldertree showing up threw a wrench in their plan and they were forced to get to grips with the fact that their nearest and dearest could be dying. Also, Jocelyn tried to get up to speed on what went down while she was asleep. Use the video above to watch Shadowhunters online to get up to speed with the latest developments for the characters.